Murdock was established in Shoreditch in 2006 now operate a selection of proper Men’s barber shops across the capital. With a whole range made in the England, they seek to “release the dapper potential” of the modern man through a selection of bespoke colognes, shaving and hair care products. 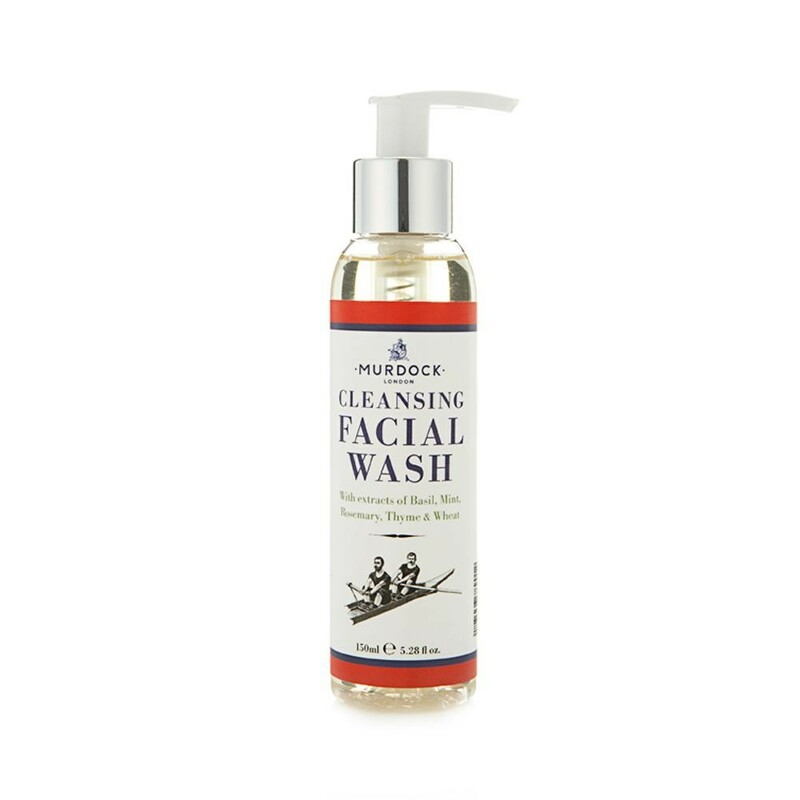 The Daily Cleansing Facial Wash from Murdock is designed to clean and soothe the skin, with Aloe Vera to help moisturise, mint to reduce sensitivity and wheat protein to soothe any irritation. As with any Murdock product fragrance plays a strong roll and in this case Basil, Mint, Rosemary and Thyme provide a pleasing aroma. You can purchase this Daily Cleansing Facial Wash at End Clothing. This entry was posted in Skincare and tagged Cleanser, Face Wash, Murdock London. Bookmark the permalink.